mPower Triathlon Coaching assists triathletes, duathletes and runners of all abilities. Custom-designed training plans available for all distances, sprint to Ironman. Coaching philosophy is a holistic approach that includes training in all three sports, nutrition, comprehensive full-body and core conditioning in phases with an annual training plan. Video analysis in swim, bike and run disciplines also available upon request for a nominal fee. 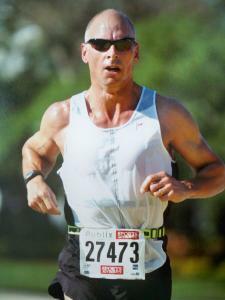 Triathlete since 1981 with over 20 years coaching experience and 8-time USAT All American with a proven approach, Coach John Houfek is experienced and highly qualified to assist athletes of all abilities to reach their goals. Coach John is one of only ~50 current USA Triathlon Level 1 and Level 2E qualified coaches in the U.S. He is a Kona qualifier and finisher. Results of 40 races 2009-2017: 33 Age Group Wins; 9 Overall Master Wins; 27 Top 10 Overall finishes. Qualified Team USA 2013 and 2014. Success. Coach mPower Triathlon Coaching has been notified of your message.